Fuel Efficiency or Mileage has always been one of the hottest selling points for cars in the Indian Automobile Industry. Irrespective of the size, class or segment, a mileage obsessed car buyer will always ask “kitne deti hai?” before making a deal. And yes of course, if the car manufacturer is successful in promising a magical figure, the deal is done! SUVs – Great in power, but are they great on mileage? Merely a decade back, SUVs or Sports Utility Vehicles were believed to be the least fuel efficient car segment present on the Indian roads. Known for their toughness, safety, off-roading skills, comfort and a class, one could have hardly thought that an SUVs can deliver 20+kmpl fuel efficiency. But it isn’t a dream now! Our expectations have turned into reality now. In 2017, every automobile manufacturer understands the importance of a fuel efficient offering in the competitive SUV segment in India. As a result, a perspective buyer is blessed with various options to consider before purchasing their dream SUV car. And this not only boosts a competition in the market, but also delivers more benefits to a car buyer. The first power packed SUV to drive in our list is none other than the Maruti Vitara Brezza. Maruti Suzuki is a name which doesn’t need any introduction to the Indians. Their latest offering Vitara Brezza is currently the most popular and in-demand compact SUV in the market. Carrying a promising price tag of Rs.6.99 lacs (ex-showroom, New Delhi), the Brezza promises to run 24.3 kilometers in a litre of Diesel. Maruti Vitara Brezza is powered by a Fiat-sourced 1.3 L Multijet diesel engine that produces 89 bhp at 200 NM torque. Added with class apart functionalities and safety features, the Brezza has definitely won our hearts. If you are in the market for a compact SUV with best mileage, this one is worth a test drive. The second SUV driving in our list is yet again from the trust-worthy camp of Maruti Suzuki. But wait, many of you would think why we are calling it an SUV? Isn’t it an extra long and premier hatch? And it also misses the tough SUV looks? Well, you should know that this one is capable enough to beat other SUVs on our list. With a tough suspension, power packed features and long list of safety feature, the Maruti S-Cross is second best in our list. The 1.3 L DDiS200 Diesel Engine powering Maruti S-Cross churns 89 bhp and 200 NM Torque. With a starting price tag of Rs. 8.03 lacs (ex-showroom, New Delhi), the Maruti Suzuki S-Cross runs 23.65 kms in one litre of Diesel. Waiting for you at a Nexa Dealership, the Maruti S-Cross is worth your savings. Ford EcoSport – a compact SUV which was sold like ‘hot samosas’ in India at the time of launch, has managed the third position on our list. Promising to run 22.7 kilometers in one litre of diesel, the Ford EcoSport has got tough looks, convenient features, great driving dynamics and appreciable safety features. 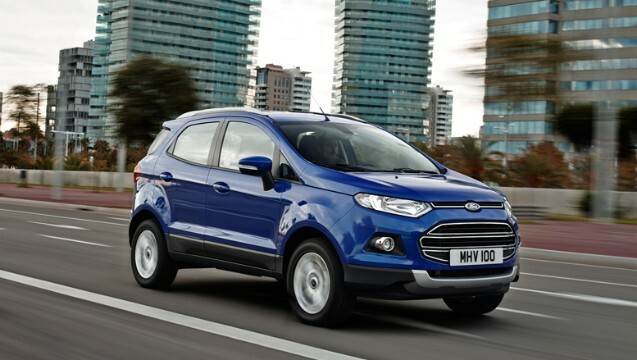 The Ford EcoSport is available in three engine options – 1.5-litre diesel, 1.5-litre petrol and also a promising 1.0-litre EcoBoost petrol engine. You can go for what you desire for. However, some of you might don’t like its interior design and space. With a starting price tag of Rs. 7.60 lacs (ex-showroom, New Delhi), the Ford EcoSport is still worth a glance. Honda – the leaders of two-wheeler segment in India has managed to grab the fourth position on our list with their promising SUV BR-V. Based on the very own Honda’s Brio platform, the BR-V has the same 1.5L i-DTEC Diesel engine that powers the Honda City. 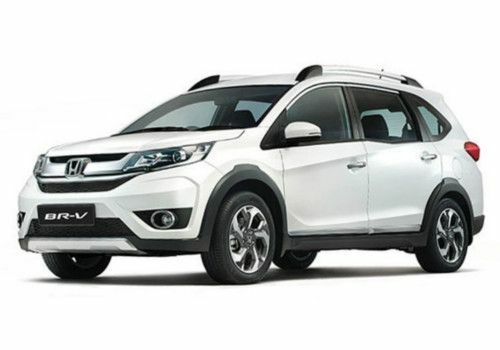 Claiming fuel efficiency of 21.9 kmpl, the Honda BR-V features three rows of seats, which none on our list feature. It looks more like a premier sedan with raised height, length and an extra row for passengers. The starting price tag of Rs.10 lac (ex-showroom, New Delhi) for Honda BR-V is more than that of top 3 SUVs in our list. However, with the class apart features and looks, the Honda BR-V is a power packed and worth a buying. 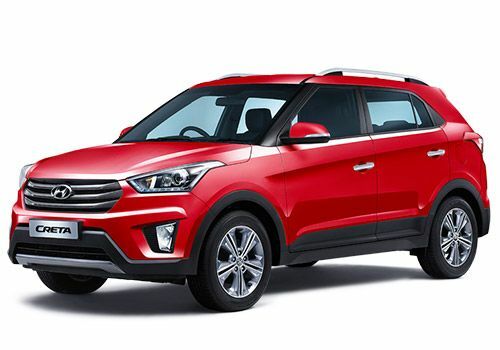 The Hyundai Creta is a massive hit on the Indian roads with a class apart design and looks. Some even might confuse between the looks of Hyundai Creta and BMW X1, when it comes to the exteriors. The long waiting period of over 6 months has already proven that Indians have welcomed this car without any complaints. Also, it has consistently been a best selling product in the segment. The Hyundai Creta with 1.4 L Diesel engine returns an average of 21.38 kilometers, which makes it one of the finest SUVs with best mileage. With a starting price tag of Rs.10.05 lacs (ex-showroom, New Delhi), this SUV is capable to offer you a luxurious experience without any sacrifices. Well, this is not the one which looks bigger and bolder like Hyundai Creta or Vitara Brezza, but it still has managed to attract us with an amazing fuel mileage that too without costing a bomb on your pocket. If you have a small budget between 5 to 7 lacs, and you still desire to own a SUV, the Mahindra & Mahindra KUV100 is the one waiting for you. The KUV100 is a sub-four meter SUV with tough looks and promising features. The diesel variant of KUV100 is powered by a 1.2L mFalcon D75 engine, which claims 25.32 kmpl, which is the best on our list. Do you think we missed your hot favorite SUV on our list? Do let us know by commenting the section given below.